Sometimes you're too lazy to even throw some pants on and go out to breakfast on a Sunday morning. 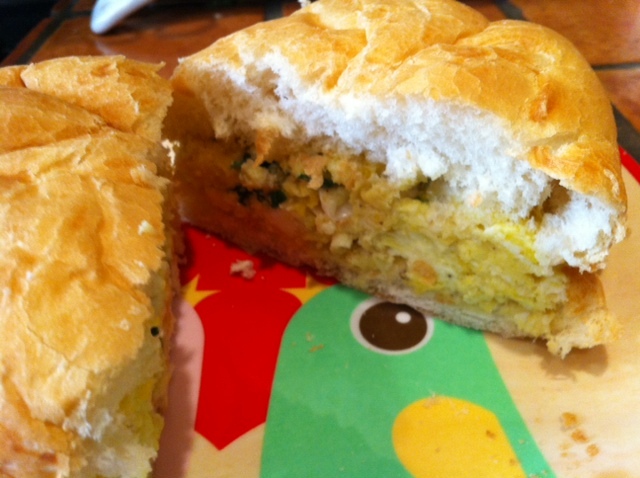 That's when things like this happen: scrambled eggs with fresh basil and cilantro, dropped on a toasted kaiser roll. Done deal. Not bad, but a little dry. And no, I didn't have any bacon in the fridge. Duh.